I wrote this post while participating in a blog tour conducted by Clever Girls Collective on behalf of Claritin®. I have been compensated for my time commitment to the program. It is that unfortunate time of year again for many that suffer from seasonal allergies. Just when everyone wants to get outside and enjoy the sunshine the air is full of pollen and other allergens that can make being outside anything short of a nightmare for allergy sufferers. It is also the case for many to not even have to step outside to be plagued by the negative effects of allergies. Our homes are just as likely to leave our noses running and our eyes watering if we do not take proper precautions to avoid these allergy symptoms. If you are allergic to outdoor allergens such as mold or pollen you do not have to give up life outdoors entirely. There are peak seasons for different pollens and you may or may not be allergic to all of them, knowing what you are allergic to will allow you to better manage your allergies. For example, if you are allergic to mold, you may want to stay indoors on rainy or windy days as the air tends to have a higher mold spore count on these days. If you are allergic to various types of pollens you may want to try enjoying the outdoors early in the morning or in evening when pollen counts are low. 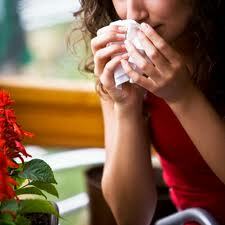 You will also want to keep your home free of pollens by using the air conditioner rather than opening windows. There are many ways to avoid outdoor allergens, but if you still find you are being tortured by pollen and mold you may want to try an allergy medication, which will allow you to enjoy the outdoors without the negative side effects of allergies. As I mentioned earlier it is possible to suffer from allergies in our homes as well as outside. The top three indoor allergy culprits are dust mites, pet dander and mildew. Keeping your home free from dust is one way to avoid an allergy onslaught. Cleaning your home once or even twice a week will ensure your carpets, showers and furniture are free from dust and mildew. As for your fury friends you do not have to give them up, rather keeping them groomed and clean will help with any pet dander you may have. However, if you want to go a step further to avoid pet dander there are several breeds of hypoallergenic dogs and cats that can greatly decrease this allergen. For tips on making your home and garden more beautiful, functional and allergy-friendly visit www.Facebook.com/Claritin. I was selected for this sponsorship by the Clever Girls Collective, which endorses Blog With Integrity, as I do.